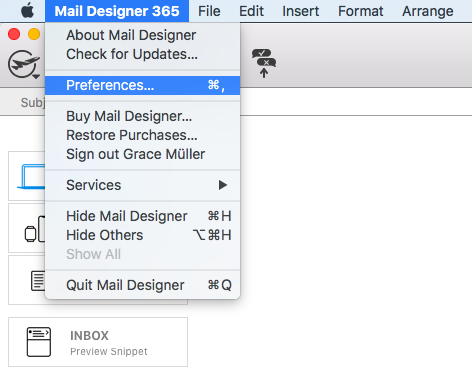 Mail Designer 365 makes it easy to send emails from your own email address directly from the app. 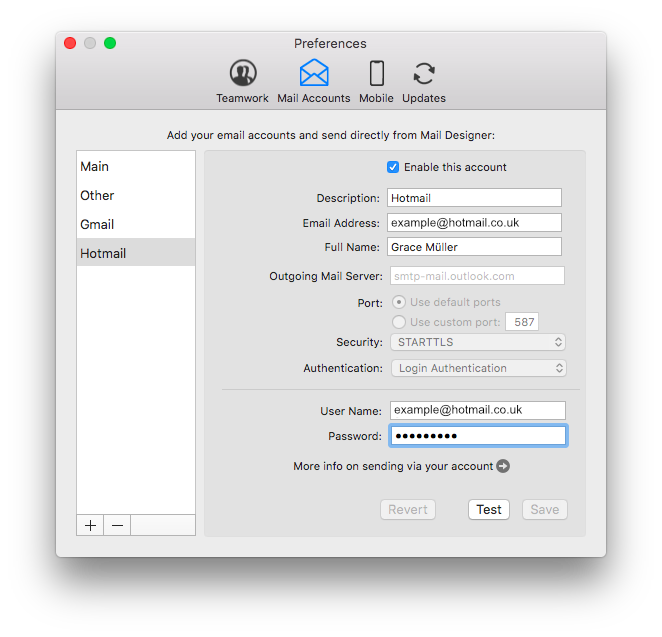 Thanks to Mail Designer’s automatic email account configuration, you will be up and running in no time. 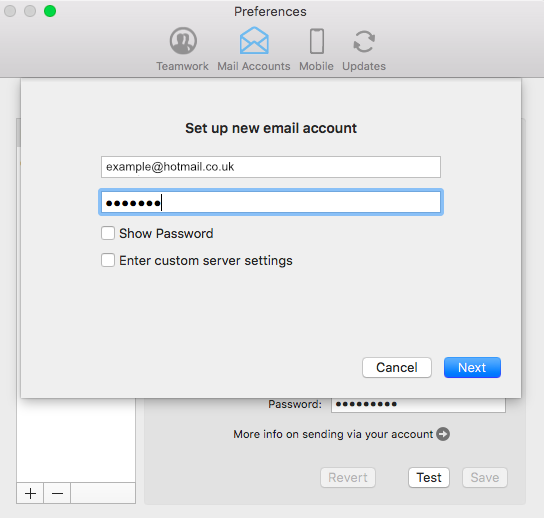 Enter your email address and password (not required for all email services e.g. Gmail) in the space provided. 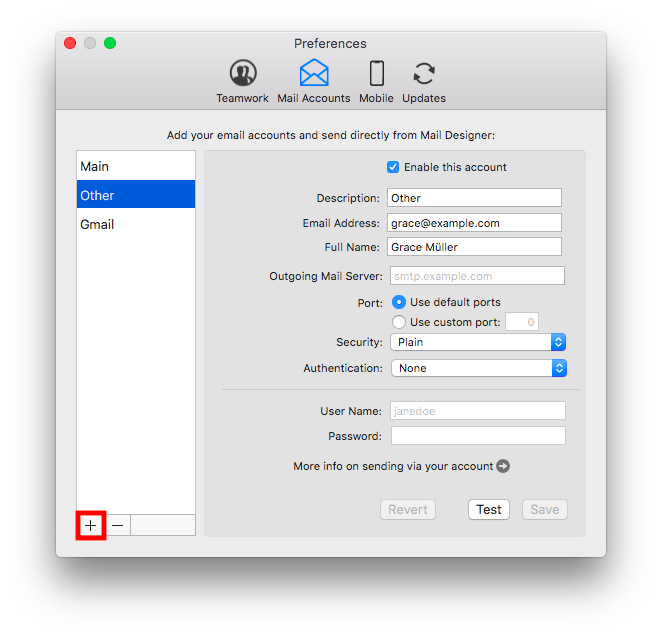 You are now free to use your personal email address to send email designs from directly within the app.